Levar ao lume uma panela com água salgada e deixar leventar fervura. Acrescentar as batatas e deixar cozinhar em fogo médio durante 10 minutos ou até estarem cozidas. Escorrer e deixar arrefecer durante uns minutos. Temperar o tofu com um pouco de sal e pimenta. Reservar. Numa frigideira anti aderente aquecer 2 colheres de sopa de azeite com as sementes de mostarda e deixar cozinhar durante alguns segundos. Acrescentar a cebola, os alhos, o gengibre e a cúrcuma e deixar cozinhar durante 30 segundos, mexendo sempre. Acrescentar o tofu e deixar saltear durante 2 ou 3 minutos. Acrescentar outra colher de azeite e as batatas. Saltear durante 5 minutos, mexendo de vez em quando. Temperar com o sal e misturar. Retificar os temperos e dividir pelos pratos. Noutra frigideira anti aderente, aquecer 1 colher de sopa de azeite e fritar os ovos durante 2 ou 3 minutos. 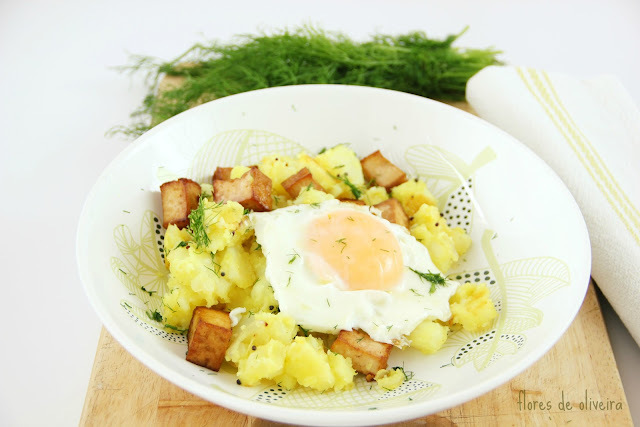 Colocar os ovos em cima das batatas e salpicar com o endro picado. Bring a large saucepan of salted water to the boil. Add the potato, reduce to a simmer and cook for 10 minutes, or until just tender. Drain in a colander and leave to cool for a few minutes. Season the tofu with salt and pepper and set aside. Place a non-stick frying pan over medium–high heat. Heat 2 tablespoons of the olive oil, sprinkle the mustard seeds into the pan and cook for a few seconds, or until just beginning to pop. Add the onion, garlic, ginger and turmeric and cook for 30 seconds, stirring constantly. Add the tofu and fry for 2-3 minutes. Add another tablespoon of olive oil and the potatoes. Fry for 5 minutes, turning often. Scatter the salt over the potatoes and toss together for a minute more. 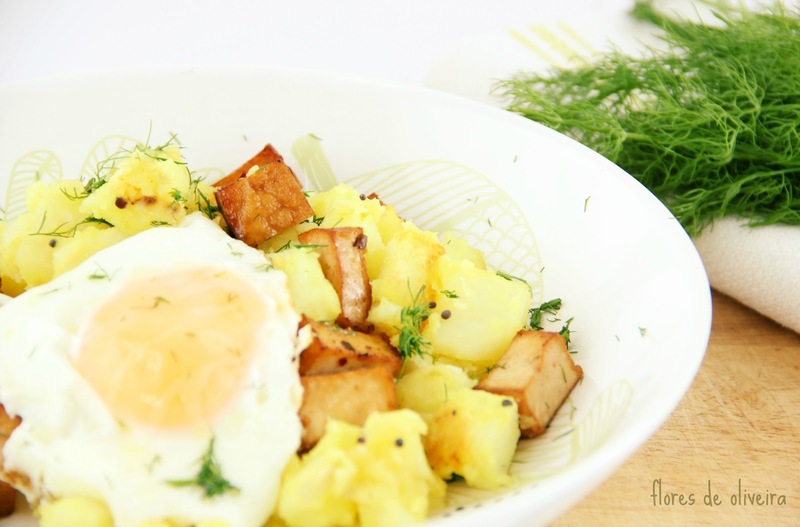 Season to taste and divide the potatoes between four warm plates. In a clean large non-stick frying pan, add another tablespoon of oil and place over medium–high heat. Once hot, fry the eggs for 2–3 minutes until cooked. 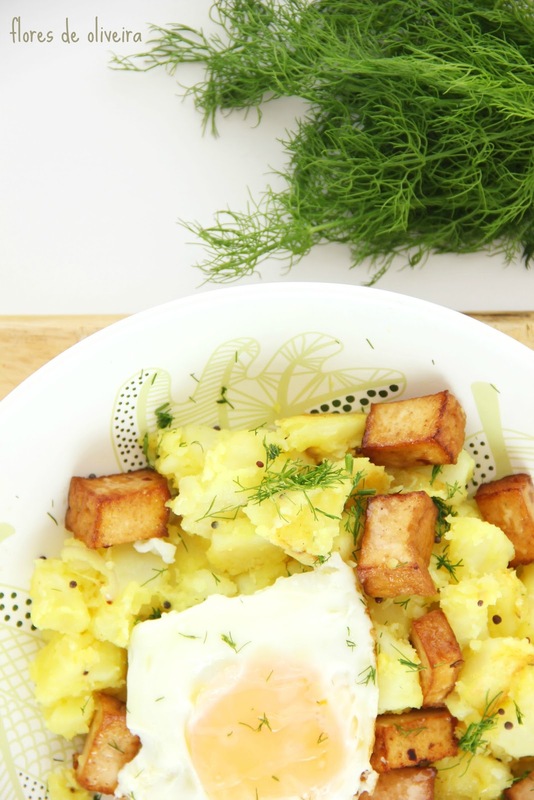 Place the fried eggs on top of the potatoes and scatter with the chopped dill. este é um prato bem á minha medida, vou fazer cá em casa. Apesar de não ser grande apreciadora de tofu, tenho que admitir que este pratinho ficou bem apetitoso! Gostei muito do aspecto deste prato! Deve ser delicioso! 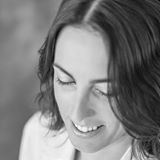 author.I will remember to bookmark your blog and will often come back sometime soon.